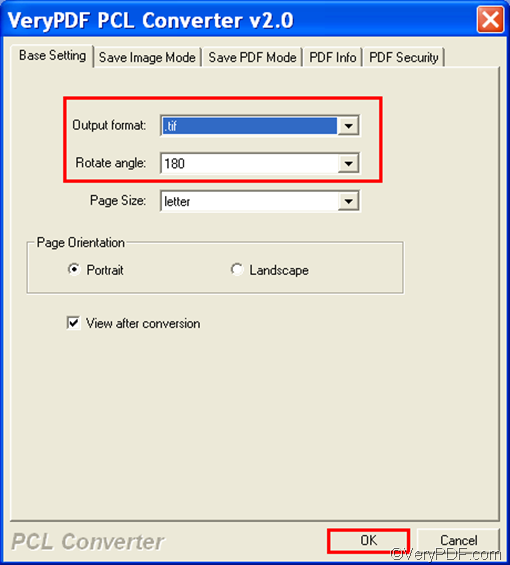 Only four steps are required to convert PRN to TIFF and rotate the pages. Do you want to how to do it? Why not start with downloading VeryPDF PCL Converter? This document converter is able to convert documents in the formats such as PCL, PXL, PX3 and PRN to TIFF, PDF, JPG, PS, etc. After you install VeryPDF PCL Converter, please double click its icon on your desktop. During the evaluation period, the following dialog box always appears before the main interface. Please follow the instruction to try or buy it. For example, if you want to try it, please click Try. The following is the main interface of trial version of VeryPDF PCL Converter. You can input PRN files through dragging and dropping, or by clicking Add File(s) on the interface. For example, you can select the PRN files in Windows Explore at first and then drag them and drop them to the list box on the interface. Then, all the added PRN files will be displayed in the list box. You can change the order of the files by clicking Move Up and Move Down under the list box. To generate TIFF files and rotate the pages, you have to set options. Just click Setting next to Add File(s). > When the dialog box as follows appears, please click the Output format combo box and select .tif as the output format. > click the Rotate angle combo box and select 90,180, 210, or 0 from the list. > Click OK. 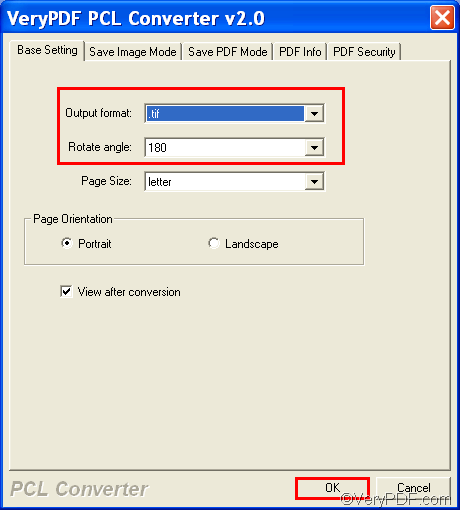 This is the method that you can quickly convert PRN to TIFF and rotate the pages. The trial version of VeryPDF PCL Converter has the same features of the full version. One difference between them is that the trial version adds watermarks on the pages of the output files. If you want to purchase the full version, please click Register on the interface. This entry was posted in VeryPDF Blog and tagged prn to tiff, rotate the page. Bookmark the permalink.